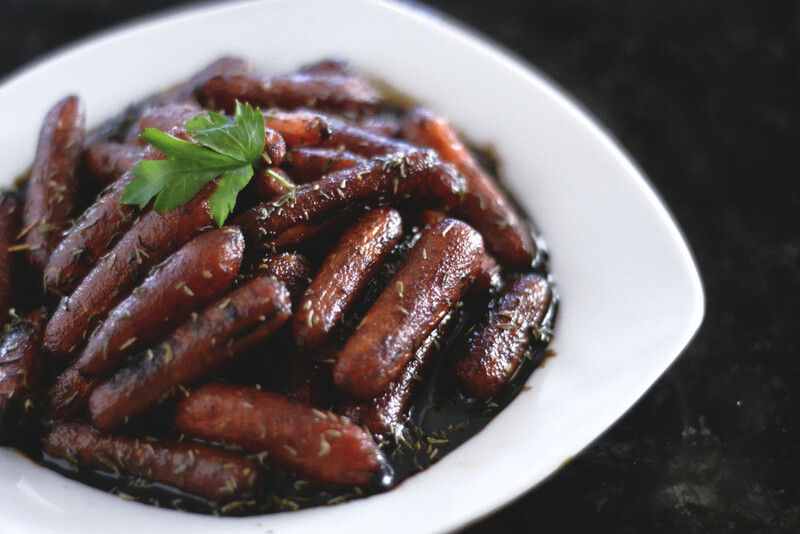 Balsamic Thyme-Glazed Carrots. 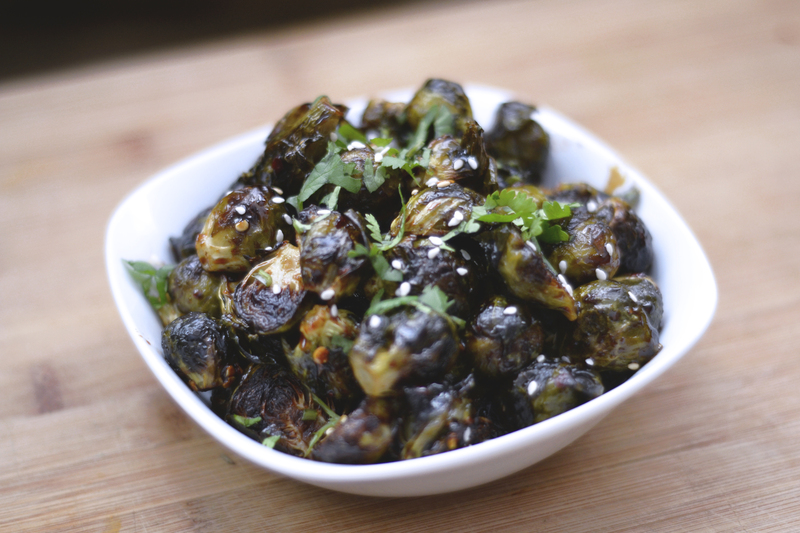 Soy Chili-Glazed Brussel Sprouts. YES. Every year, I experiment with at least one new dish to bring to my Thanksgiving table, while keeping the rest of the traditional dishes, well, traditional. 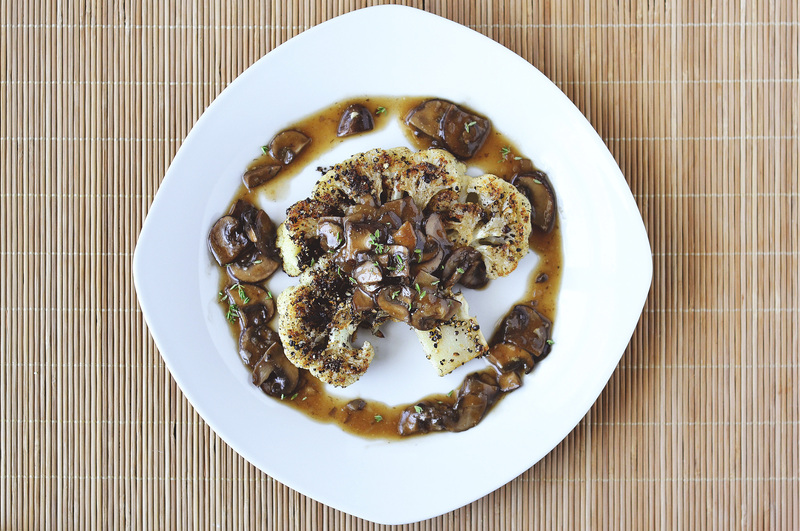 This year I wanted to try a sticky-icky glaze on roast veggies, and I tested two versions. 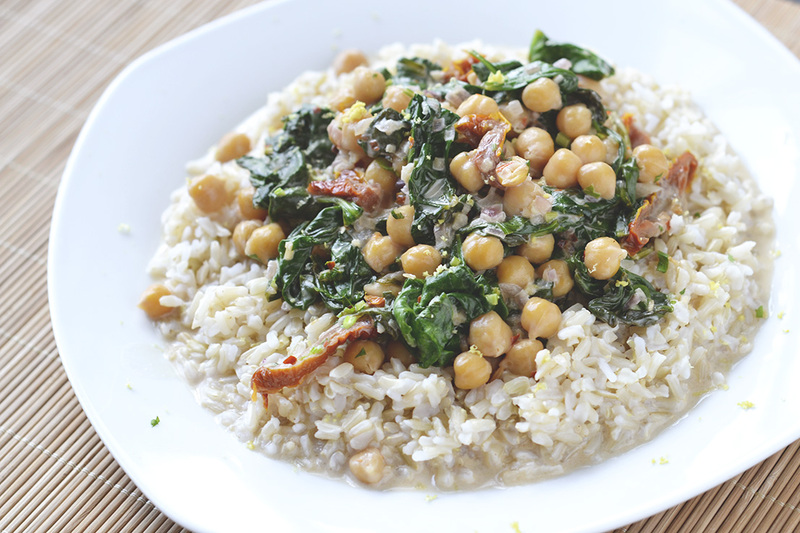 A sweeter, tangier version with carrots and a spicier, salty version using brussel sprouts. I’m sure you could substitute any veg here: broccoli, cauliflower, asparagus, green beans, and even squash comes to mind. I just think it’s a nice departure from the usual bland, roasted and often fatty veggies that usually exist on the periphery of our holiday spread rather than taking center stage with bold flavors. Join us this week as we post TWO recipes each day for your Thanksgiving consideration. Add just ONE completely plant-based side to your Thanksgiving menu this year, saving yourself those extra calories and post-meal lamentations. Tomorrow, we’re talking desserts! 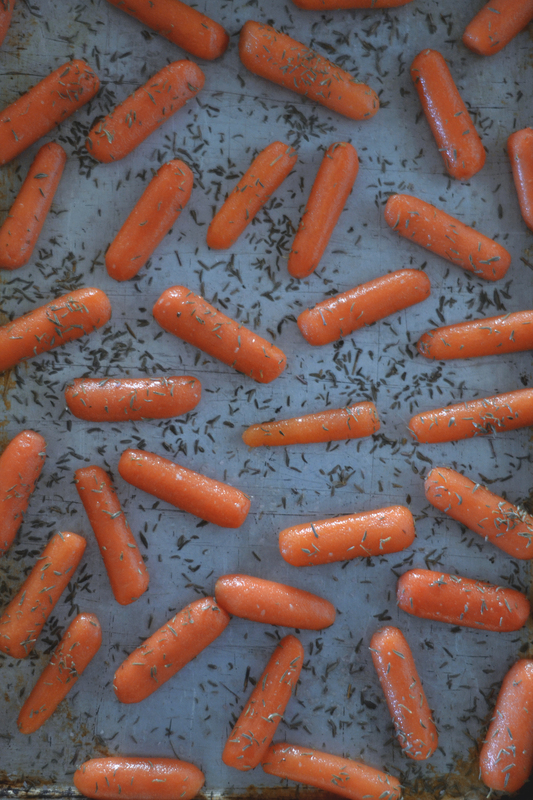 Toss carrots in olive oil, if using, salt, and thyme. Spread evenly on a rimmed baking tray and bake in the oven for 25 minutes, or until carrot skin is wrinkled but the center has a firm bite. Flip carrots once halfway through. 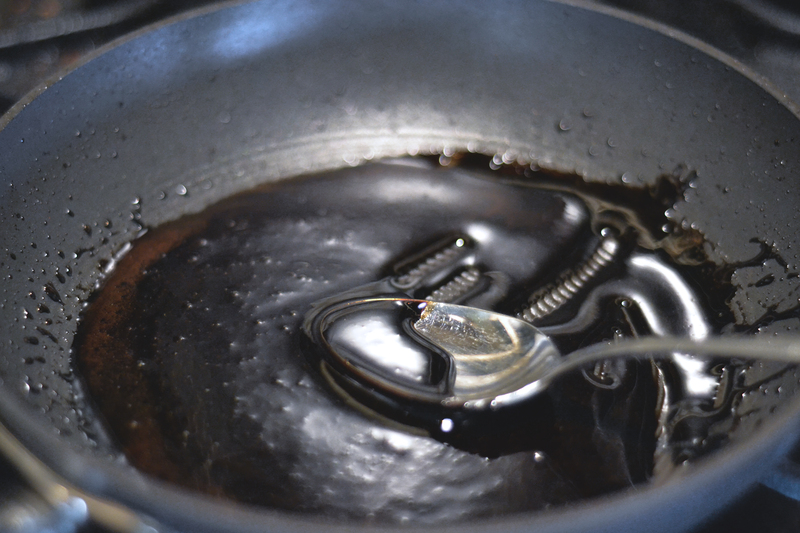 In the meantime, combine brown sugar and balsamic vinegar in a small sauce pan over medium high heat. Reduce down until thickened, like caramel. You should smell the sugar caramelizing and the bubbles should get bigger and slower to pop. Remove carrots from oven and toss them in the glaze. Plate and serve hot. Preheat oven to 450F and move oven rack to the topmost slot. Wash, trim, and pat dry brussel sprouts. Half each brussel sprout lengthwise, no matter how small the sprout is. Place cut side down on a baking tray and place in oven on the topmost rack. 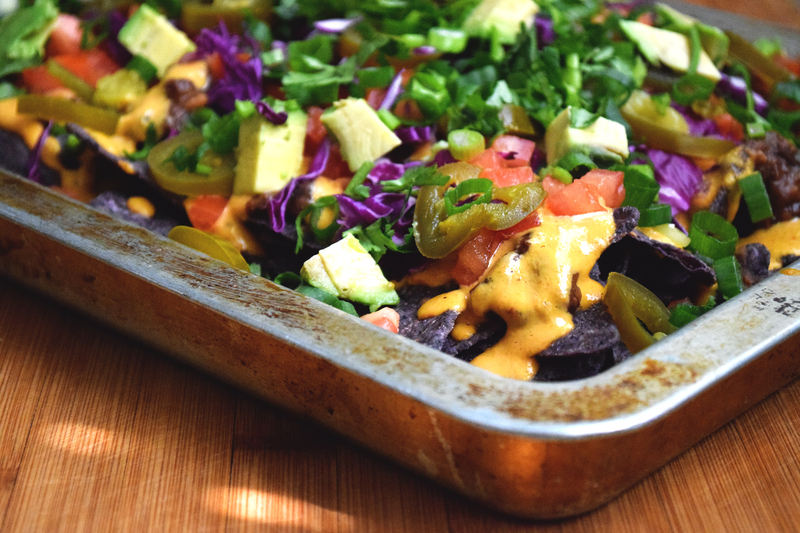 Bake for 45 minutes or until crispy, flipping once every 15 minutes. In the meantime, combine soy sauce, rice vinegar, garlic, chilies, and brown sugar. Reduce down until caramelized and thick, careful not to let it burn. You should smell the chili and caramelized sugar and the bubbles should become larger and slower. Remove brussel sprouts from oven and toss in the glaze to evenly coat. Serve immediately with cilantro, crushed peanuts, green onion, or sesame seed garnish. The brussel sprouts will get soggy sitting in the glaze, so add the glaze immediately before serving and not before.